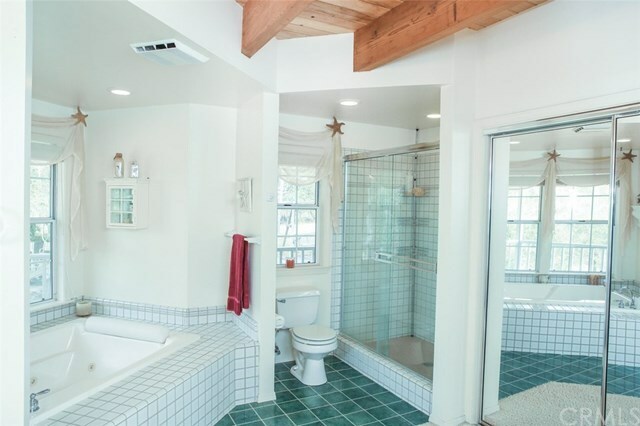 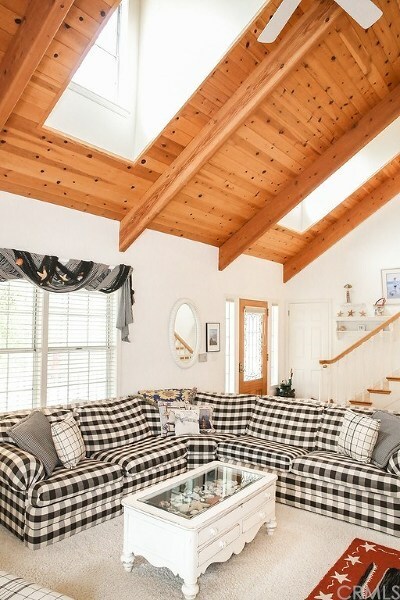 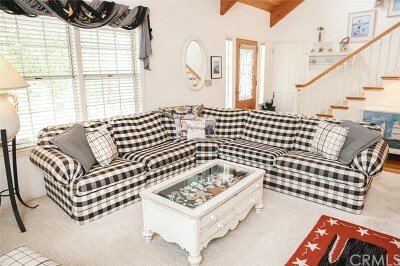 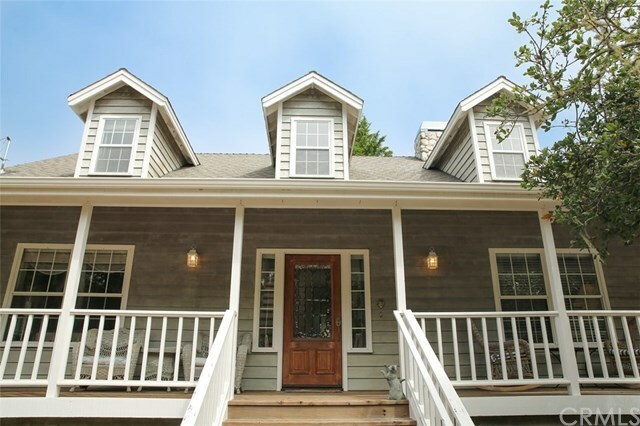 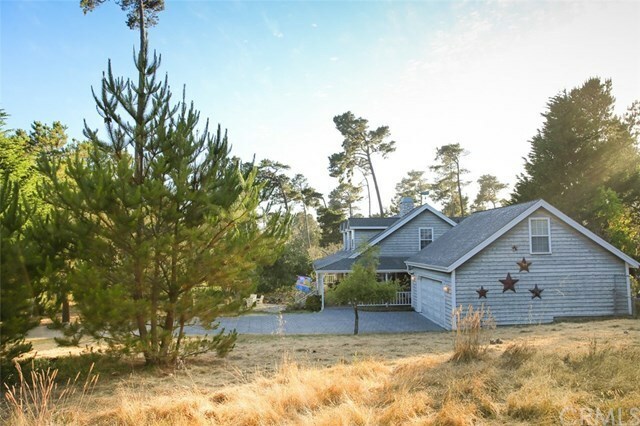 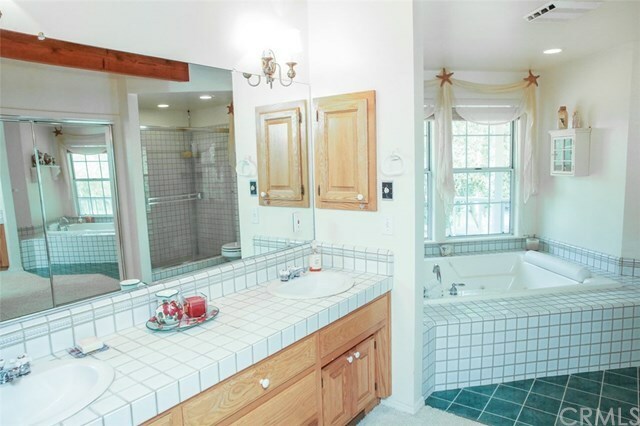 South facing and coastal on an oversize lot, this ranch style home exudes charm. 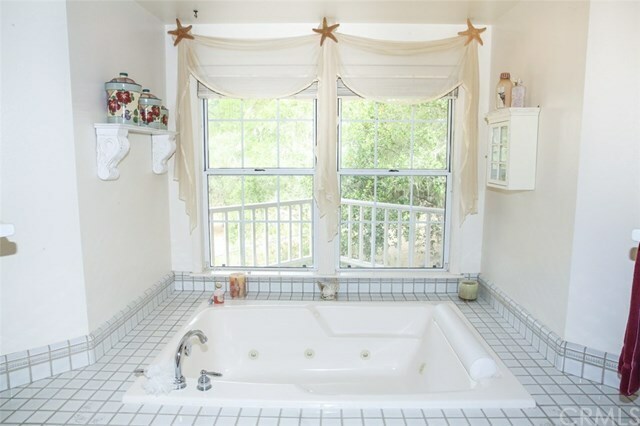 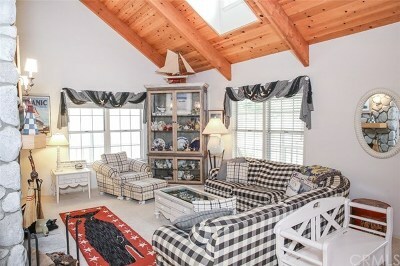 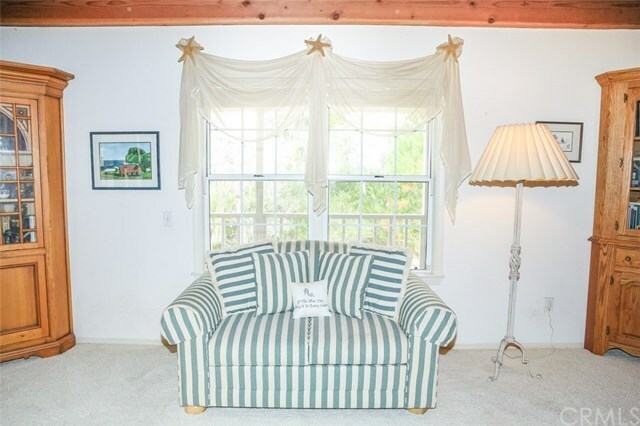 Located off the beaten path in a sunny microclimate just minutes to the ocean. 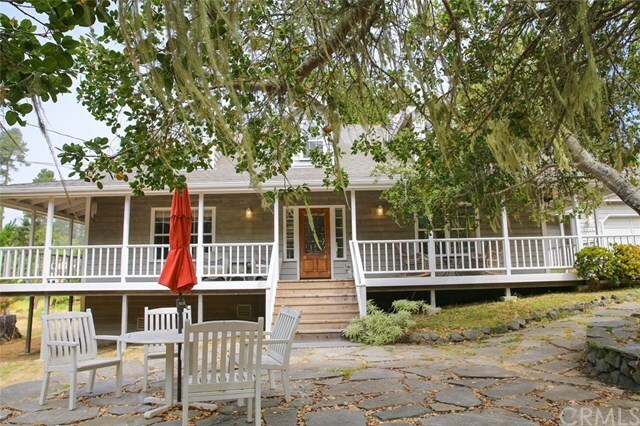 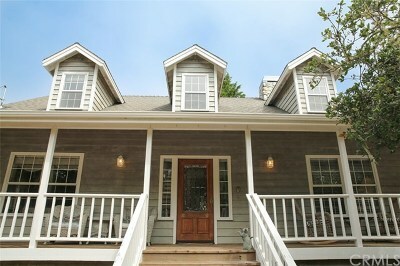 A large wrap around porch and built in stone sitting areas are the perfect spaces to enjoy this private coastal land. 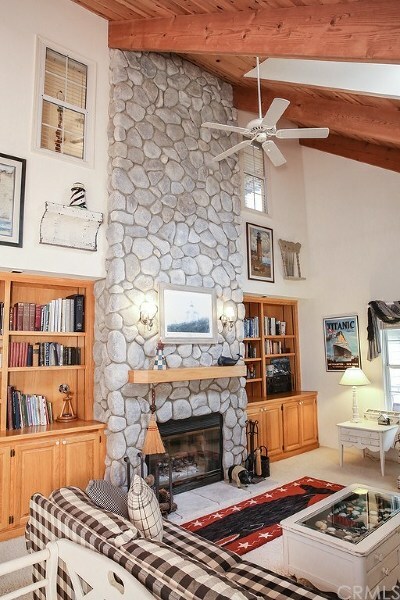 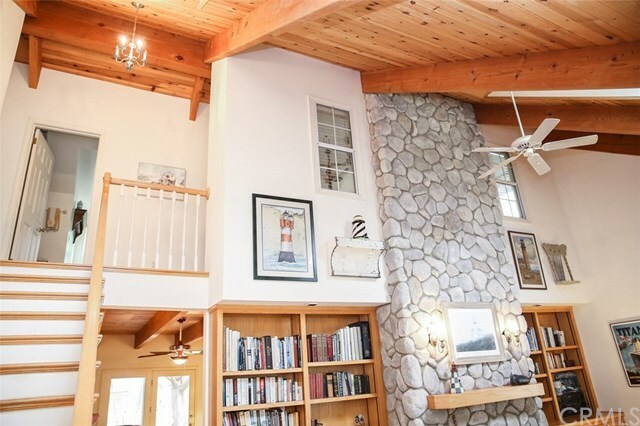 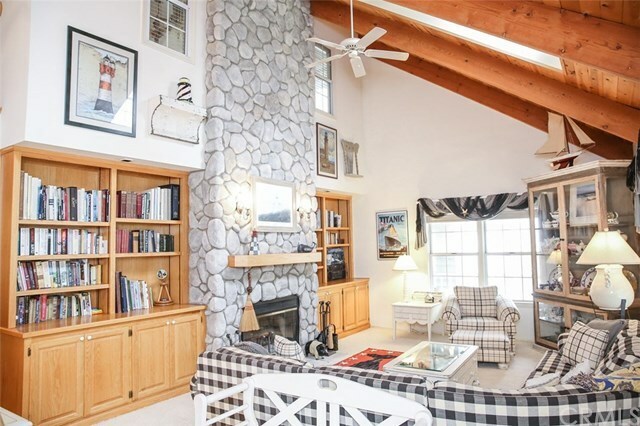 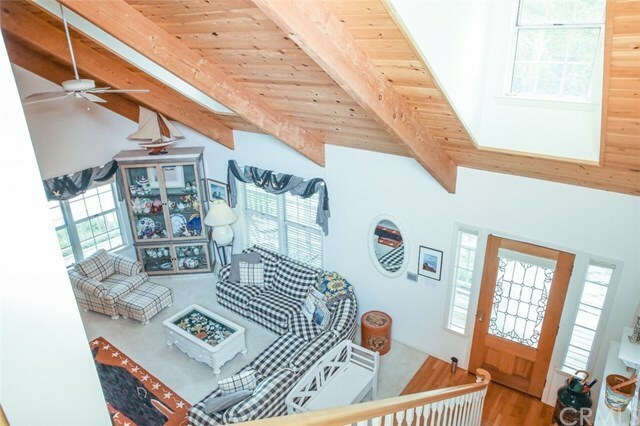 Vaulted wood beam ceilings with dormer windows highlight the spacious living room. 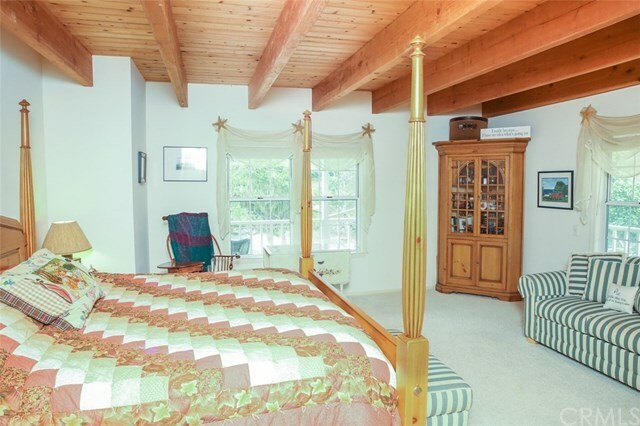 Offering single level living downstairs as the living areas and master suite are located on the ground floor. 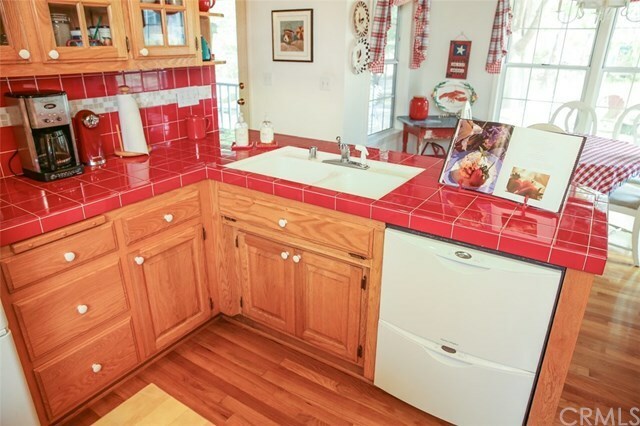 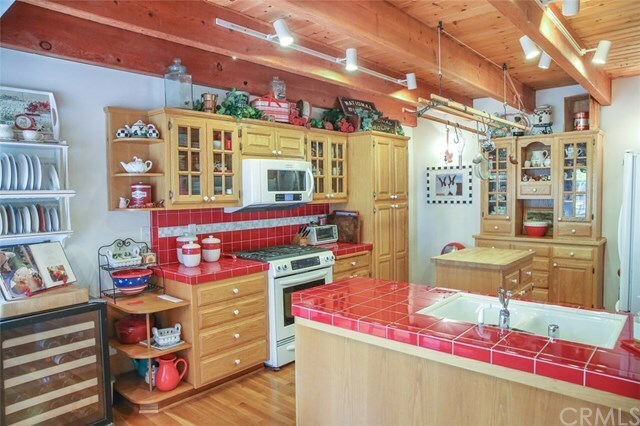 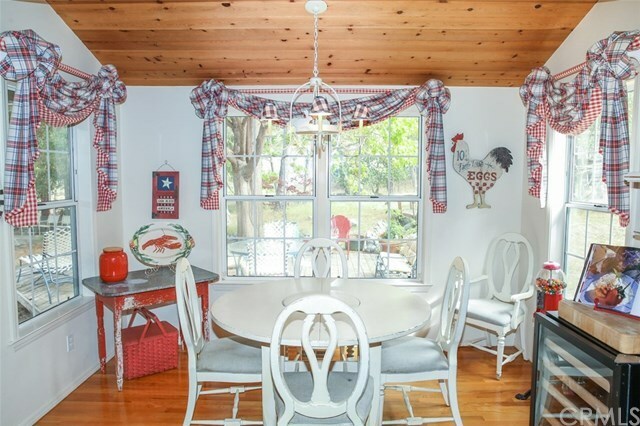 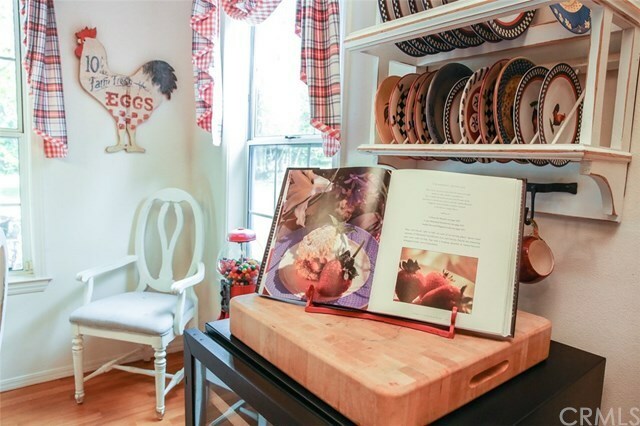 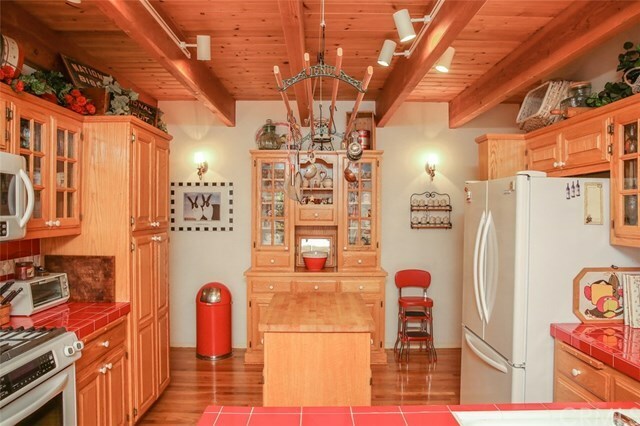 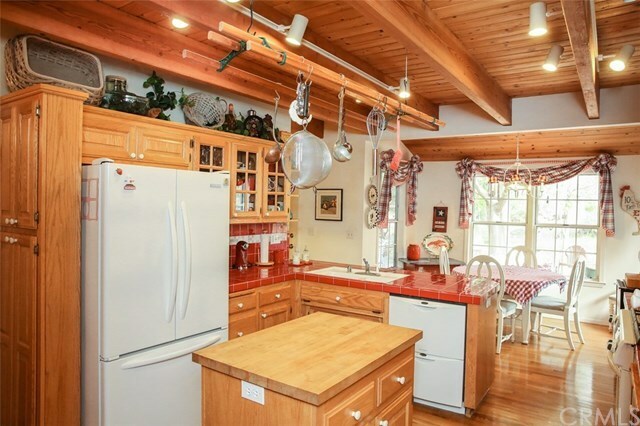 A few of the amenities in the country kitchen include a built in china cabinet, a butcher block island, a custom made hanging pot rack and oak hardwood flooring . 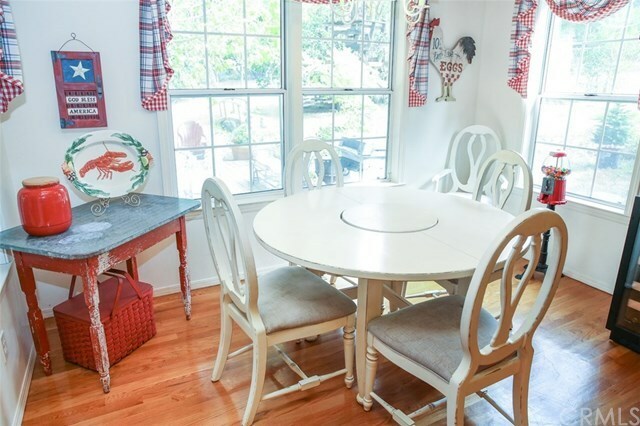 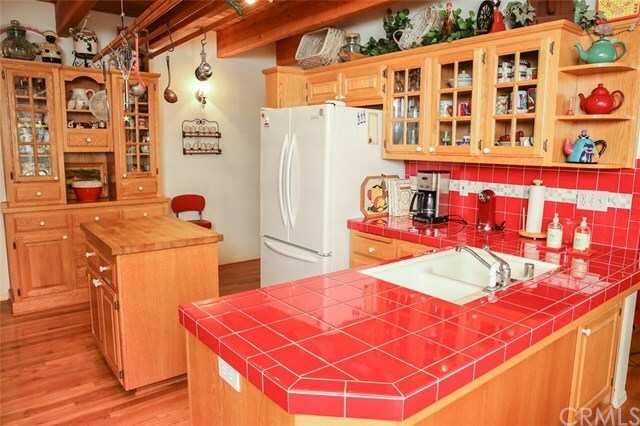 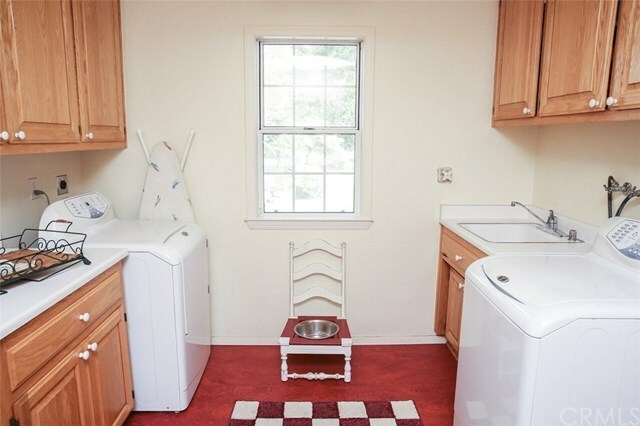 There is a breakfast nook and an additional living area off the kitchen with access to the sunny backyard. 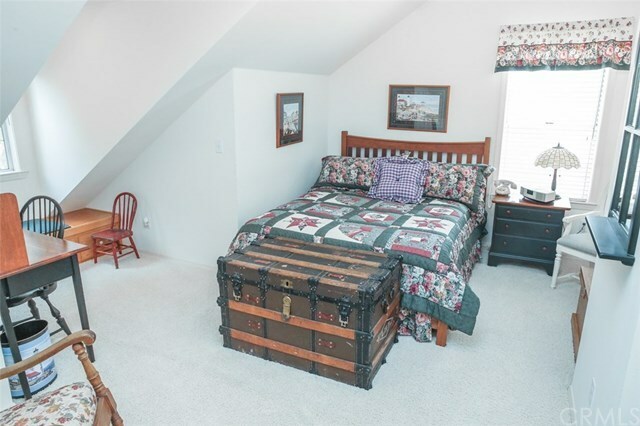 Upstairs there are two bedrooms and one full bath. 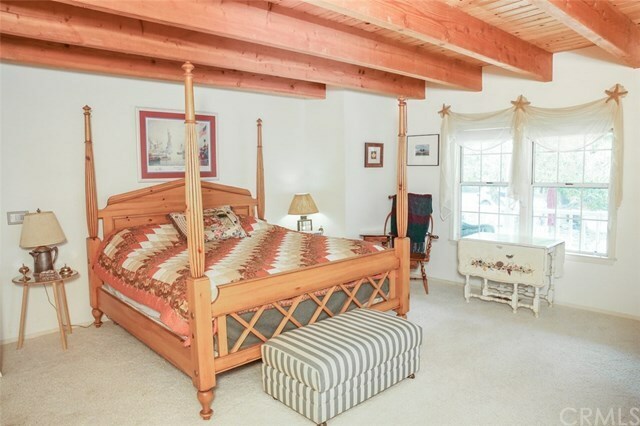 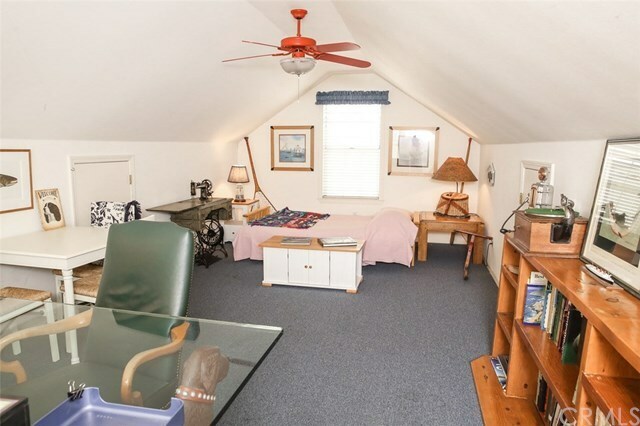 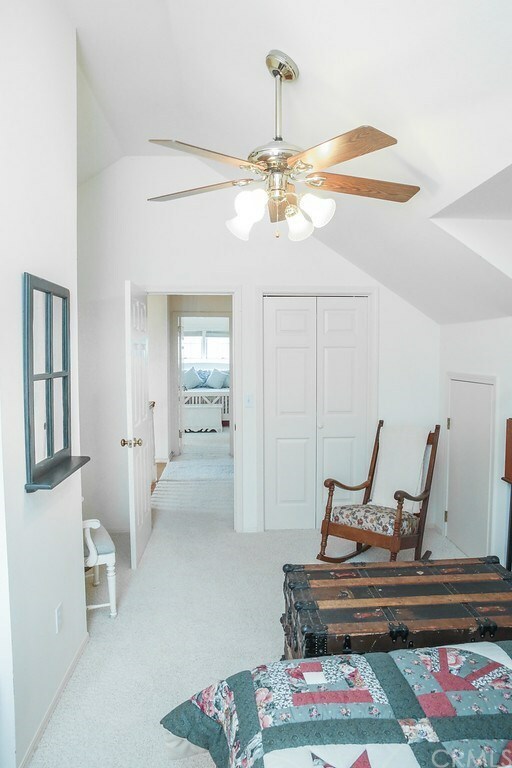 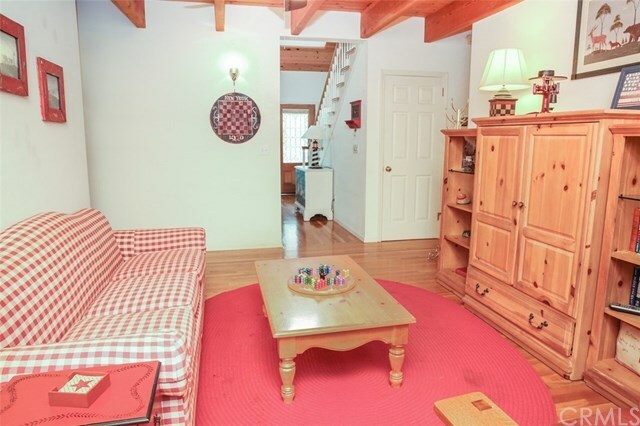 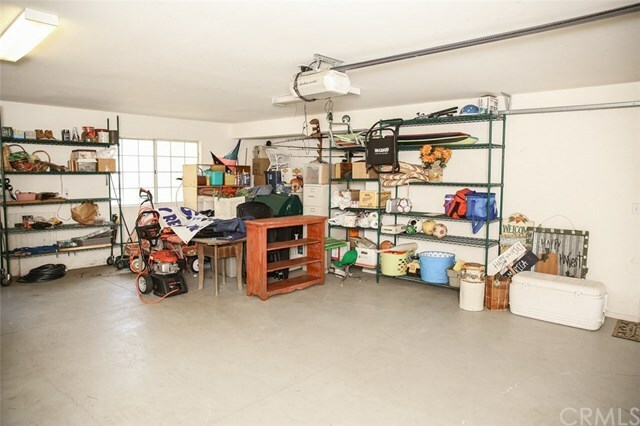 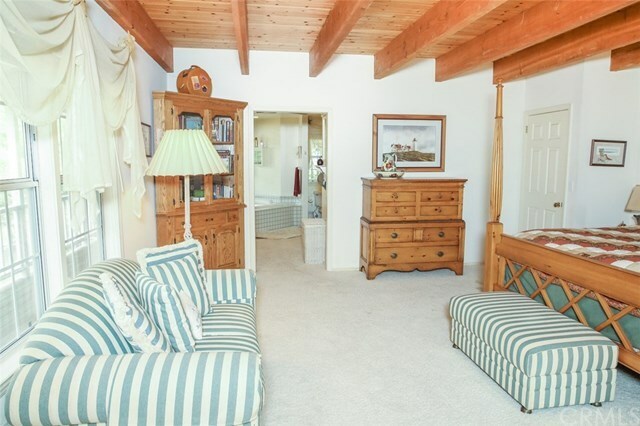 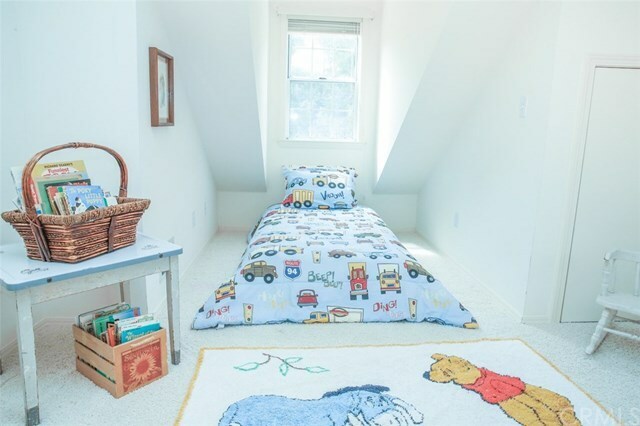 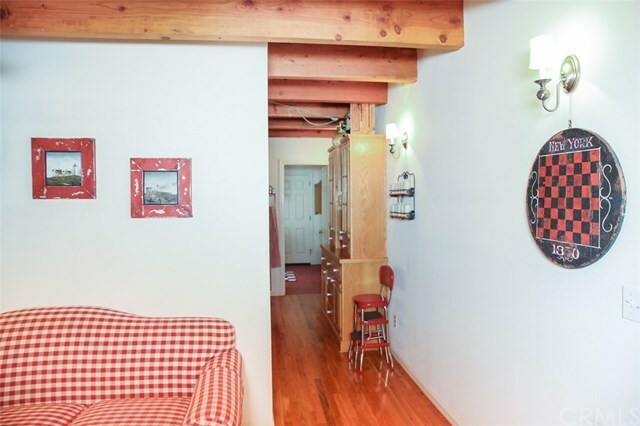 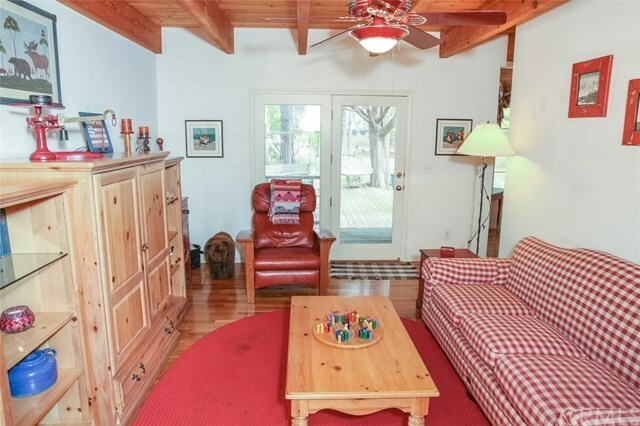 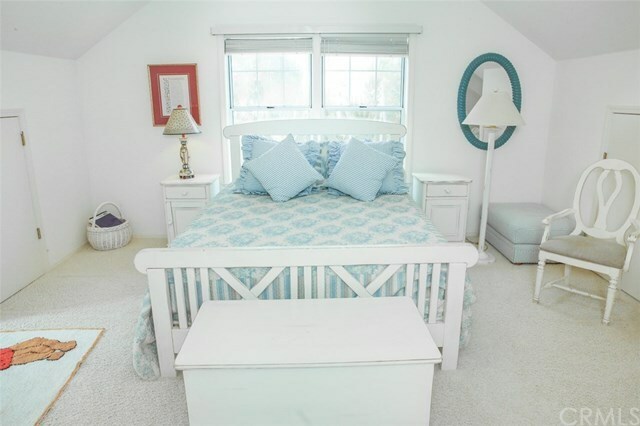 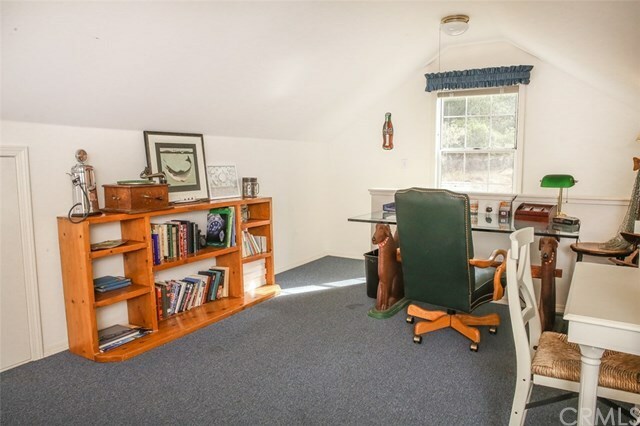 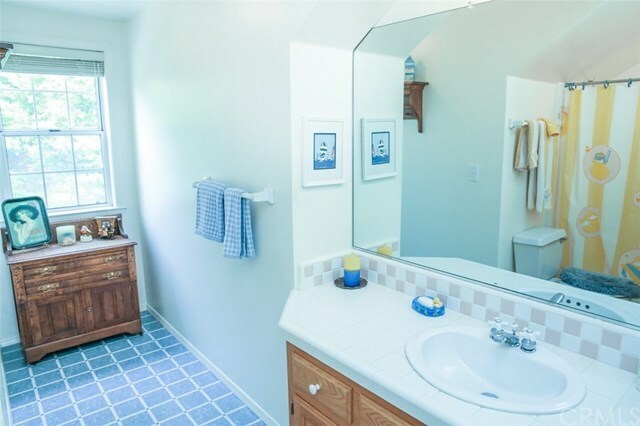 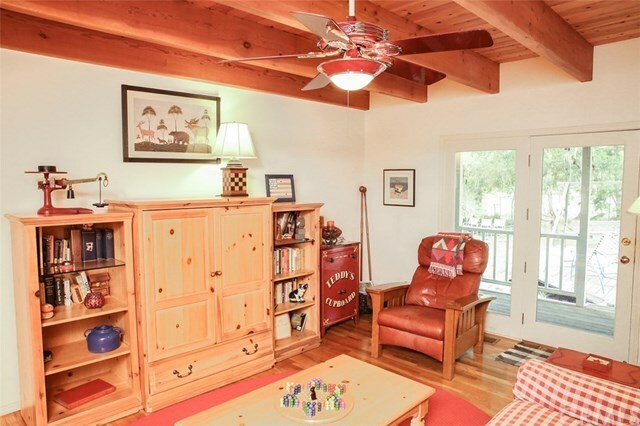 Spacious guest quarters over the two car garage with a bright and cheerful bedroom. 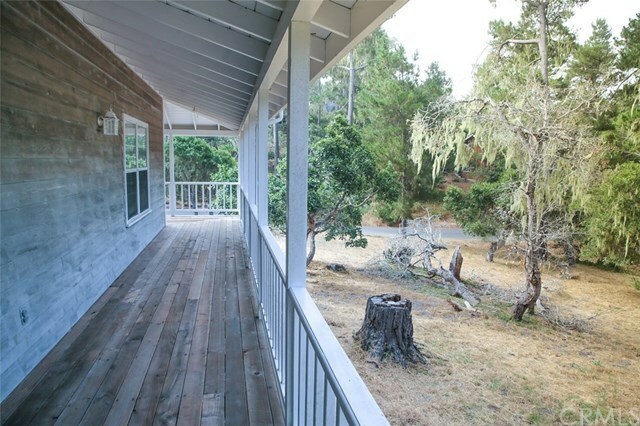 Plenty of room to park the RV on the long stamped concrete driveway. 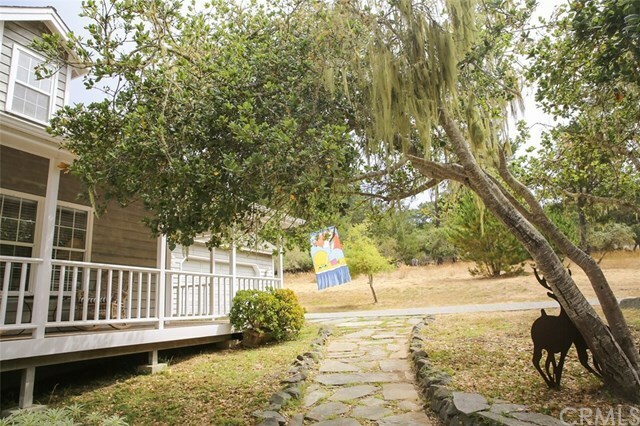 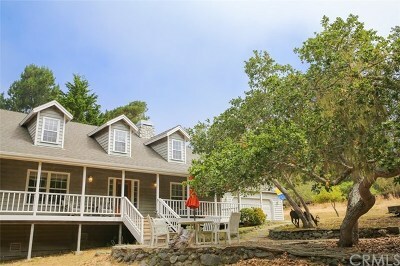 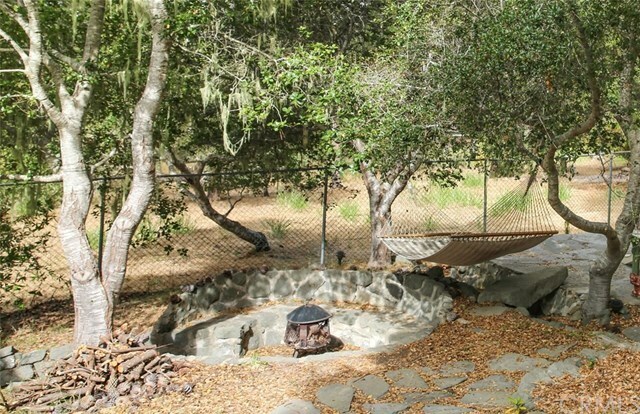 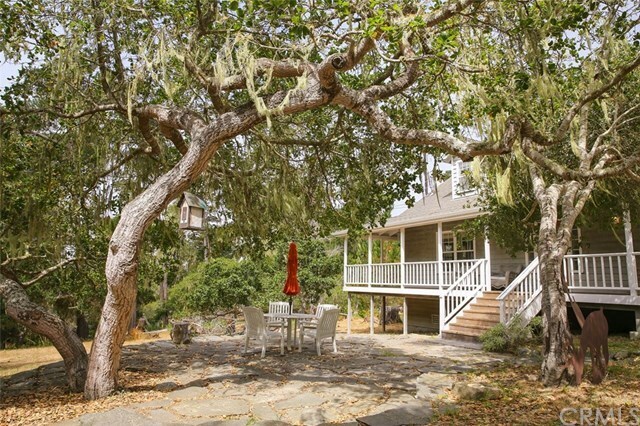 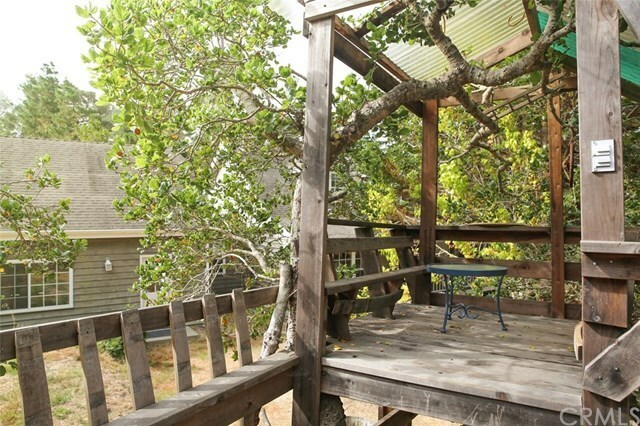 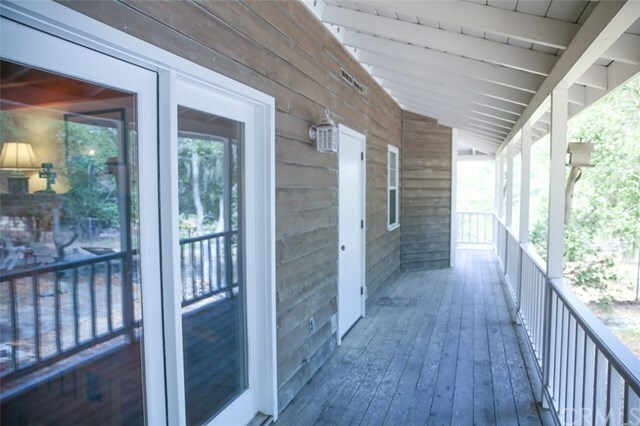 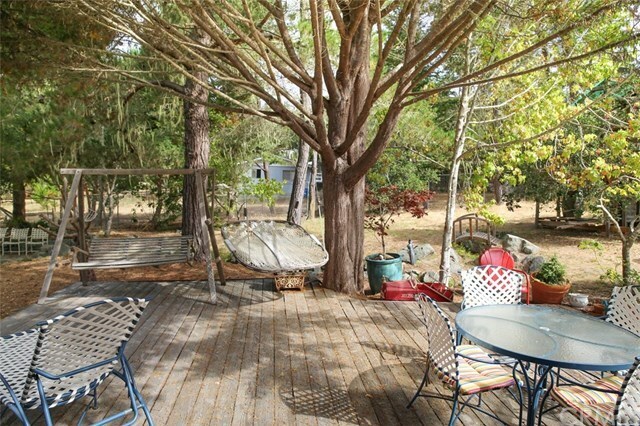 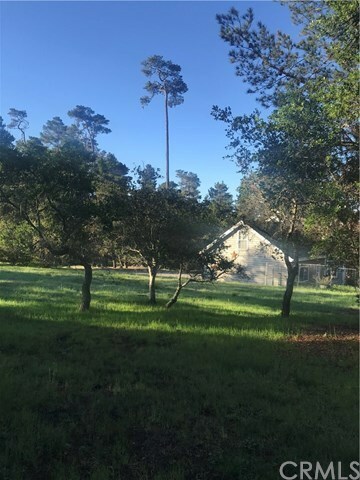 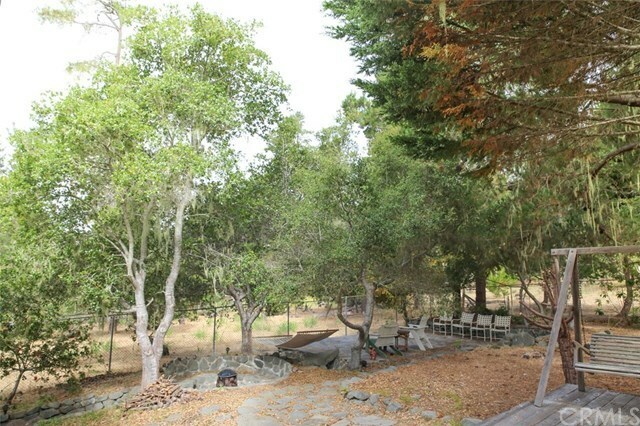 The backyard is fenced with mature trees such as redwood, pine and oak trees complete with a tree house. 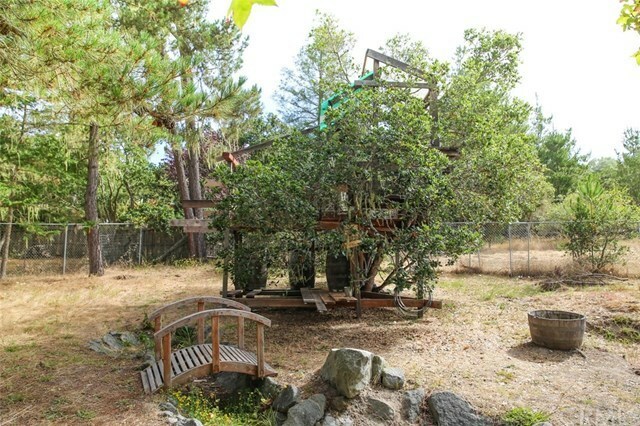 The roof was just installed.